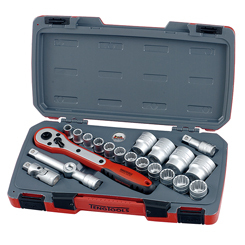 TENGTOOLS are unique to the automotive trade as they bring a selection of hand tools within a compact tool tray system for a comprehensive mechanic set. The workshop is ideal for the busy professional, providing an organised and efficient work station, saving you both time and money searching and replacing lost tools. They are specialists in socketry, spanners, ratchets. The range is so vast, you’ll be sure to the find the fitting and size you need. Join thousands of others who choose Tengtools for their premium product. Shop today at My Tool Shed.